After blowing down the MTV Video Music Awards with a performance of her single “Should’ve Been Us”, Tori Kelly has hit the stage with big names Ne-Yo, Robin Thicke, Jeremih and Diddy. 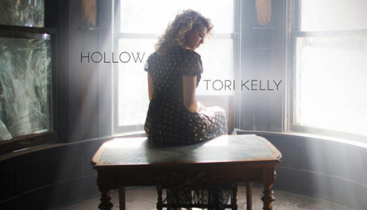 Today, the power-house songstress delivers more magic with the remix to her new single “Hollow”. “Hollow” is an emotion-packed tracked about an empty heart searching for love. “I don’t want to be the first one folding, I don’t want to be the joker,” she croons. “Tell me darling will you understand me, and not show me your cards,” she croons over the pounding stadium-sized drums. On the remix, Big Sean hops on the track and serenades his girl, “Look, I know you’ve been up at night, tryna sleep with one eye open! Crying out enough tears you could fill up the Atlantic Ocean! Don’t front being home alone we learn this from Macaulay Culkin so I’m just waiting on you”. Earlier this year Kelly debuted with the amazing Unbreakable Smile. I’m looking forward to more Tori Kelly in 2016! The video for “Hollow” is due for release later this week! Check out “Hollow (Remix)” featuring Big Sean below!